The eBay catalog is a database of structured product information. By associating your products with the eBay catalog, your listings will gain access to product identifiers—key to optimizing your search performance. Your listings will also qualify for product-based shopping, an industry retail-standard experience that buyers have come to expect when they shop online. Click "SELECT" beside the product corresponding to the item that you are selling. You will then automatically be taken back to the listing editor page where you can fill in the required information and publish your listings. Note: Once you've selected a product, some Item Specifics fields may become non-editable as they are automatically retrieved from eBay and cannot be modified. 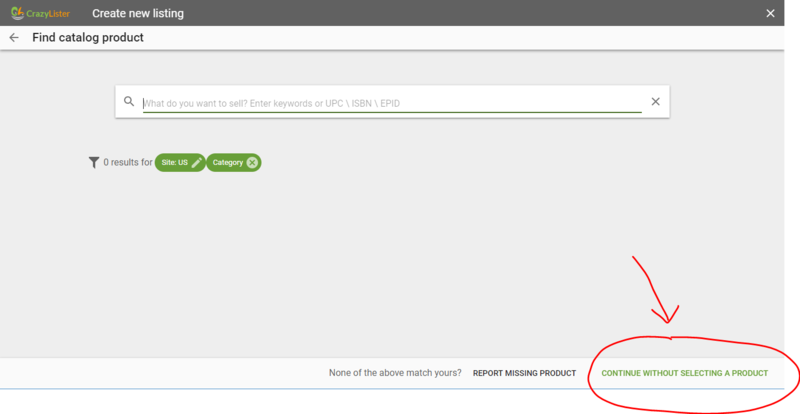 When looking up a product, you can use the filter option on the left side in order to narrow the search based on specific criteria. Can't find a match for your product? Not all products are indexed into eBay's product catalog and it may be that you cannot find your exact product in the search. If that's the case, you can click on "REPORT MISSING PRODUCT" at the bottom right corner of the page. This will take you to eBay's page where you can select the product category for the item. How do I exit the product search page? If you did not find a match for your product, you can continue editing your listing as usual by clicking on "CONTINUE WITHOUT SELECTING A PRODUCT" at the bottom right corner of the page. tags: product matching, product catalog, ebay catalog, ebay product catalog, ebay product matching, match by upc, create listing by upc, upc product matching, epid, upc, isbn, ebay product identifier, create listing, edit listing, epid field.